With a waterproof and breathable membrane, the Dublin River Boots are a sure bet for wet weather. The redskin leather also looks great paired with jeans for a cute fall outfit. Perfect for an easy barn to street wear switch. Got serious mud? Noble Outfitters Ladies MUDS are the boot for you! The anti-slip outsole will keep you on your feet, and thanks to mix of rubber and neoprene, you’ll be dry too. Specially made for a woman’s foot, these are less heavy and bulky than a traditional rubber boot. To get the clean look of a slim, black boot you can’t go wrong with a pair of Hunter Boots. 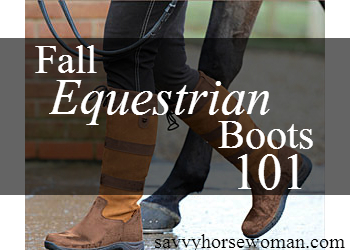 Dressed up or down these can be paired with breeches, legging or jeans for easy equestrian style. Practical and understated these are a personal favorite. If you’re looking to get away from the traditional black or brown, Joules Wellies come in bright patterns to suit almost any taste. And they’re more than just pretty. With a hard sole and deep treads, these boots are meant for walking! The selection of tall, black dress boots is practically endless, but these Buckled Equestrian Boots by Giorgio Armani are a cut above the rest. 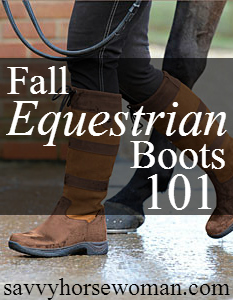 Added bits, buckles and other embellishments are a perfect way to show off your own personal equestrian style. Women has a great fascination over best work boots for women as my statistical data. Women are by born style loving,beauty appreciating and boots are like the icing on the cake to them.